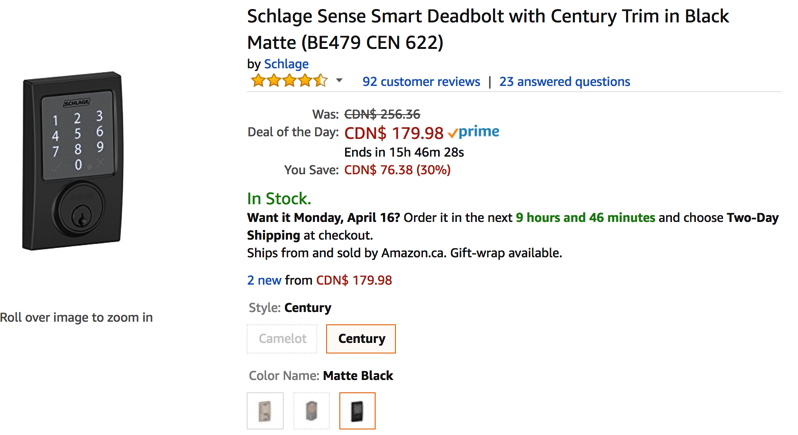 Amazon.ca has the Schlage Sense Smart Deadbolt on sale for 30% off at $179.98, saving you $76.38, as their Deal of the Day. This is the lowest price ever on Amazon according to price tracker CamelCamelCamel. 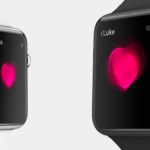 If you’re not seeing the deal price, you may need to view on your desktop. Currently, Home Depot sells this for $289. This smart deadbolt is compatible with Apple HomeKit, has a backlit keypad plus comes with a traditional key. Century in black and Camelot in aged bronze are selling at this 30% off price right now. With HomeKit support, you’ll be able to use Siri to lock and unlock your door, while also setup individual key codes for visitors based on time and day. We actually have the Schlage Sense and it’s a pretty solid HomeKit lock. If you have an Apple TV or iPad close by as your Home hub, it’ll work well to control it when you’re not home. The only downside is the motor is not whisper quiet, but it’s not a dealbreaker. Click here to jump on the Schlage Sense while it’s still on sale, as the deal only is good for 15 more hours.